As time goes by, generations come and go, and each of them is characterized by a special set of traits, preferences and habits. Millennials, who have been the main object of many a study in the recent years, are now grown-ups, and it is their children who are now on the sociological agenda. Who are they – the youngsters dubbed Generation Z? The term denotes the people born between 1998 and 2016. They are still very young, with the oldest of them being only 19. However, it is them who will determine the image of the humankind in a decade or so. 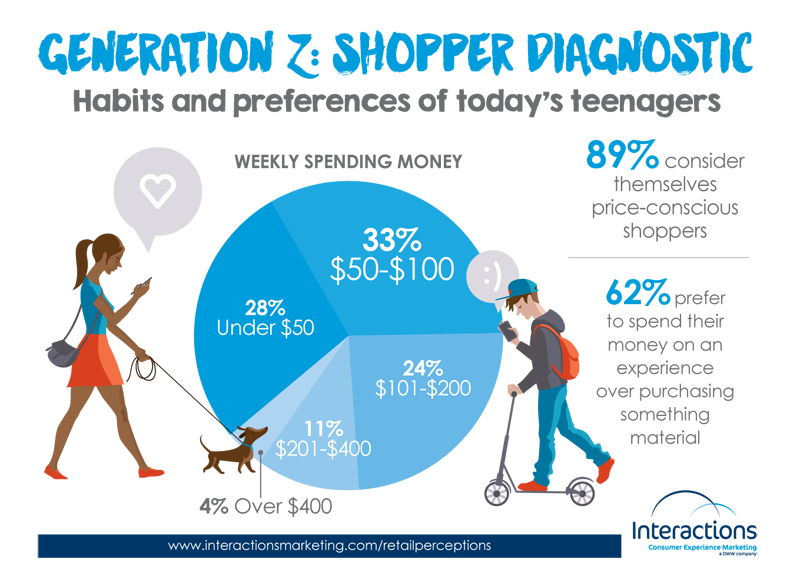 Millennials definitely have influence on the mindset of older generations, but their way of thinking is also where the Gen Z’s perception stems from. They may seem to be similar to millennials in many ways, but they are different. Not only do they look different, but they also have a different worldview. According to a team of researchers from the Cigna company, Gen Z are the loneliest of all the generations still living on the planet. And it’s not only social media that are to blame: of course, they are major contributors, but the very attitude to social interaction has changed. Unfortunately, people do not see their friends as often as they used to do in the past, and more people are reporting that they feel lonely. It’s a tendency seen in many generations, but Gen Z turned out to be affected to a greater extent than others. Given the increase in the risk of health problems associated with loneliness, it may be indicative of a looming epidemic of various diseases among Americans. Those who belong to Gen Z are less patriotic. They are not easily moved by the good old American propaganda, and it takes more efforts to make them want to join the army or support the government. The trend implications are definitely not beneficial, as patriotism is something a good person is supposed to have, along with other things like kindness, compassion, etc. The fact that it is fading and being edged out is not a good sign. One of the implications of the problem mentioned above is that Gen Z youngsters are less likely to buy American products, which can affect the country’s economy. They are the first generation to have missed the time when there was no Internet. Really, however scary it may sound, they do not know what it is like not to have a smartphone or drop in only to show your vacation photos – printed ones, not digital. They are tech savvy and do not regard advanced technologies they way millennials do. They are not used to watching traditional news broadcast on TV. Instead, they consume small chunks of information found online, which means their exposure to fake news could be greater. Compared to millennials, Gen Z are more concerned about their privacy on the Internet, and they are worried by the probability that their social network activity can affect their future or present. Diversity is a major characteristic of Gen Z. Around 81% of Gen Z have a friend of a different race. They are way less optimistic about the future. The majority of them believe the U.S. is headed in the wrong direction (68%) – this outlook is the most pessimistic of all current generations. It appears that the global situation shaped by political turmoil, shootings, conflicts, lack of faith, crises and other problems affects the mindset of Gen Z to a great extent – greater than it was in the case of older generations. Being tech savvy becomes not only an advantage, but a weakness, as they are lonely and, quite often, easily brainwashed. The uncontrolled consumption of low-quality information takes its toll, and the pessimism characteristic of them is likely to affect them physically too. However, it’s not all that gloomy: even in the modern world, there are still ways to become a better person and improve, which can make the prognosis for the humankind better.